Bogi walks the walk and is regarded as a down-to-earth automotive professional and genuine gearhead. Bogi’s unique voice and insights engage, inspire and entertain any audience. No matter the topic, her industry-proven knowledge, authenticity and passion have made her one of the most sought-after speakers in the automotive industry and women leadership conferences. When not filming All Girls Garage or running the shop, you can find Bogi teaching management classes for shop owners all around the country. Bogi’s passion for the industry and changing the way people think about technicians and auto repair is infectious and motivating. She teaches regularly for WorldPac Training Institute on relationship marketing and delivering world class customer service. 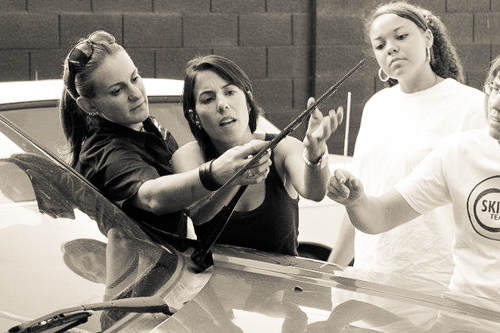 Since 2006 when Bogi opened her shop 180 Degrees Automotive she has been regularly teaching car care classes for women in her community. Women love that her classes are hands-on, informative and entertaining. 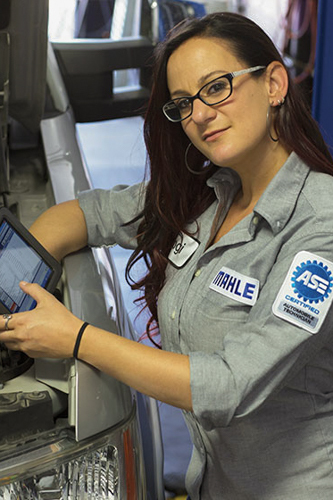 She covers the basics of car maintenance with the goal of and empowering her students to be more educated car owners. to book for car care classes at your community event, business engagement or automotive facility. 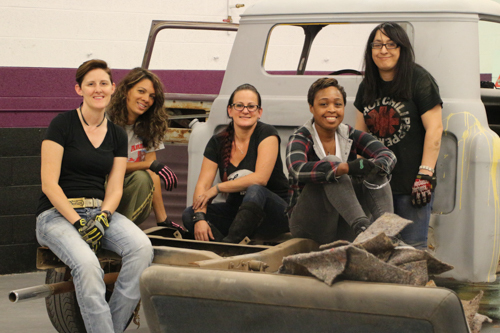 The Chevy Montage, is a ’57 Chevy pickup all-female build. Bogi is excited about giving women the opportunity to explore specialty careers in the automotive industry through this project. Bogi’s Garage will be providing hands-on-training with female industry experts and building community with women to share and support their passion for working on cars. The truck will be revealed November 1st, 2017 at the SEMA Show.